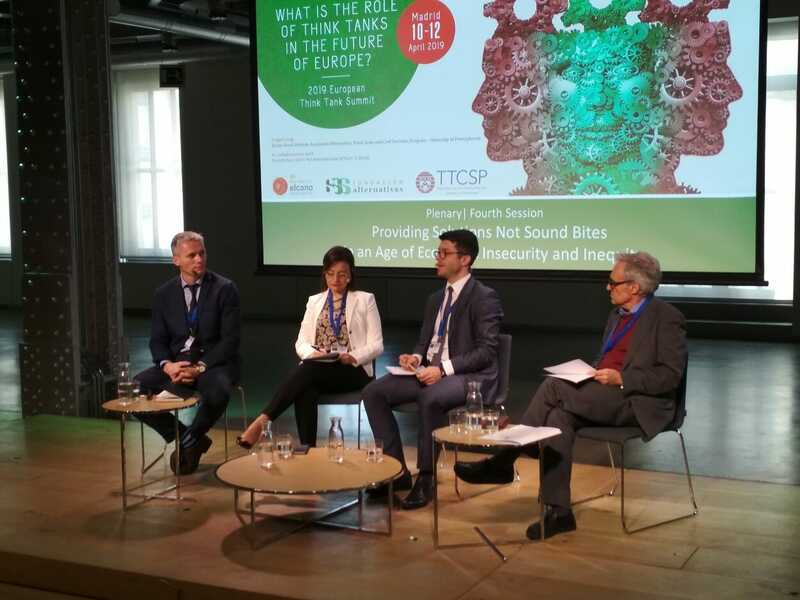 Τhe Director of the Euro-Mediterranean Network for Economic Studies – EMNES and President of the Euro-Mediterranean Economists Association – EMEA, Prof. Rym Ayadi, participated at the 2019 European Think Tank Summit, under the theme: “What is the role of Think Tanks in the future of Europe?”, which took place in Madrid, on 10-12 April 2019. The event was hosted by the Elcano Royal Institute, Fundación Alternativas, and the Think Tanks and Civil Societies Program – University of Pennsylvania, in collaboration with the Barcelona Centre for International Affairs (CIDOB). Prof. Ayadi chaired the session “Providing Solutions Not Sound Bites in an Age of Economic Insecurity and Inequity”, where she underlined “Facing raising inequality and social injustice in industrialised democracies amidst fueled growing populist movements, Think Tanks have a key role to bring sustainable solutions to prepare against a drastic great reversal.” Session participants were Tarmo Juristo, Head of Management Board, PRAXIS (Estonia), Grzegorz Poniatowski, Director of Fiscal Policy Studies, CASE (Poland), Nicolas Bauquet, Research Director, Institut Montaigne (France) and Jesús Ruiz-Huerta, OPEX Director, Fundación Alternativas (Spain).